Leading global fashion brand Barbour International wanted to create a crowdsourced lookbook and competition to celebrate the 50th anniversary of Steve McQueen racing in the historic Six Day Trial motorcycle race. Barbour sought to showcase their specially-made new collection through a series of online events and in retail stores across the country. The Republic of Photography designed and installed six bespoke Boothnation photobooths in six different Barbour locations across the UK, from London to Glasgow. 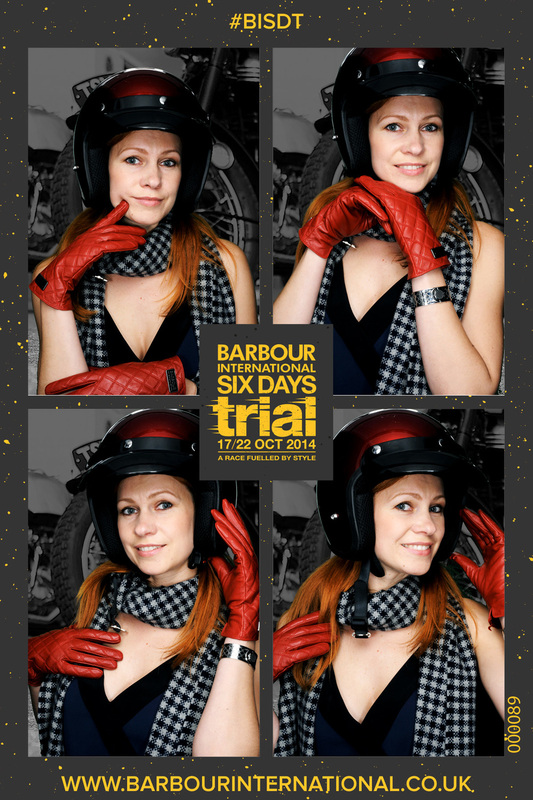 In homage to the Six Day Trial, we helped launch the Barbour International Trials, inviting the public to stage their very own online social race. First, our retro photobooths were specially-designed to deliver a nostalgia image theme. Users were offered a Barbour International capsule-collection wardrobe to style and model their shoot, while our innovative green screen technology enabled users to create their personal image from an array of different backgrounds – producing a completely unique look for each submission. With stunning branded photos printed for participants to treasure, our booths instantly sent the images to a dynamic online gallery ready for participants to ask for votes and win prizes. The competition participants then had just 24 hours to gain votes from the time their photo was snapped – creating a social excitement and buzz similar to the historic races. Participants could monitor their progress on their unique entry page, by checking in on their speed-o and observing the latest movements on the real-time leaderboard. The participant with the most votes won a limited edition Barbour outfit. Our winner, a girl called Emma, managed an amazing 3506 votes!